The American Civil War was a very exciting time for naval engagements, relatively speaking. Things were changing for the Navy, and after the Union and the Confederacy resolved their issues, the worlds view of naval combat would be forever changed. From that war, there were such great ships as the CSS Virginia and the USS Monitor, which were two of the Civil Wars most famous ships as well as the first two ironclad ships commissioned within the then-divided United States. Within our Civil War model ships category, you will find some very detailed models of these two ships as well as several other ships that found their glory during the American Civil War. 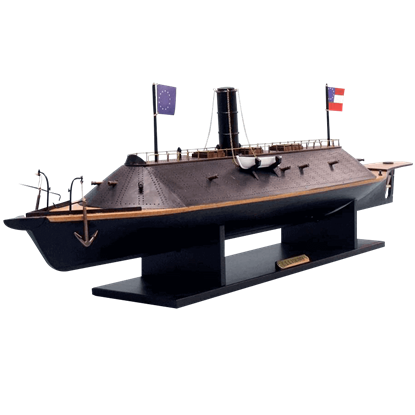 Each ship within our Civil War model ships section was a memorable, not to mention formidable, member of either the Union or the Confederate Navy at one point. Each and every one of our Civil War model ships are handcrafted from the finest materials and made to historic accuracy. 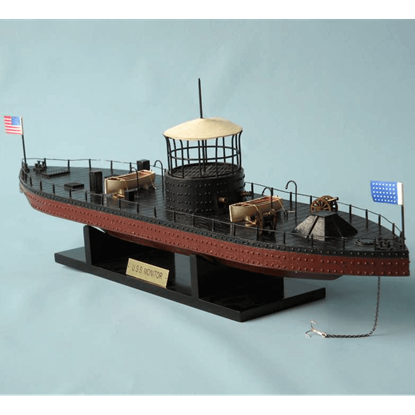 Our Civil War model ships are exquisite items and excellent pieces of American history, which now, anyone can collect and display in the comfort of their own space. This incredibly beautiful model is a scale-replica of the H.L. Hunley, one of the first American submarines. This model is hand-crafted, featuring excellent museum-level quality and detailing that is great to display in your decor. 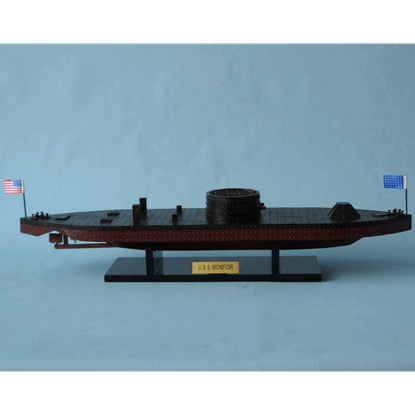 Warships like the one depicted in the Limited Edition USS Monitor Model Ship changed during the US Civil War. 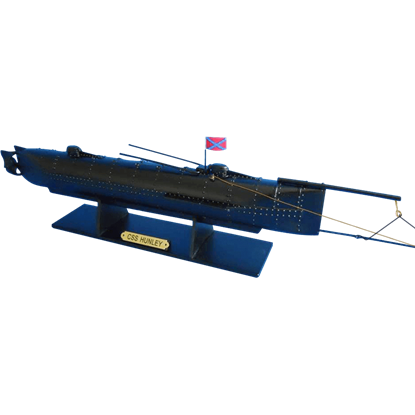 This model replicates much of the original details of the USS Monitor, one of the first iron clad ships.